turn your life into a social nightmare? These comparisons consistently indicated a significant difference between the results of persons who suffered from body odor and/or halitosis and that of the control group. 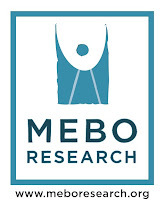 In 2009 thru 2012, MEBO Research did an exploratory study, 'Evaluation of Potential Screening Tools for Metabolic Body Odor and Halitosis' under the direction of MEBO’s Scientific Director, Irene Gabashvili, Ph.D., with the Biolab Medical Unit UK. This study initially started as a Gut Dysbiosis Study, but as the results came in, Dr. Gabashvili determined that they were more useful as a potential screening tool for breath/body odor analysis. All participants were from the United Kingdom, and significant data was acquired from this study. 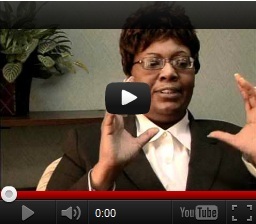 We appreciate Irene's pro bono services through the years since 2009. Irene Gabashvili is representing MEBO as the registered U.S. Principal Investigator for both these studies. She is currently collaborating with the registered Principal Investigator, David Wishart, PhD, of the Metabolomics Innovation Centre (TMIC) of the University of Alberta, in Edmonton, Canada in the currently active study. All participants for the Pilot Study reside in Canada. We will eventually need to do some fundraising for her to publishing these studies in a reputable scientific journal for MEBO. On March 24th, 2017, MEBO received the initial set of results of the Pilot Study, and Irene created a PowerPoint presentation of both studies’ results. Very interesting observations were made in the comparison of the results of the participants who suffer from breath and/or body odor with the controls.The lab used a total of 96 metabolites of different classes (amino acids, biogenic amines, acylcarnitines, glycerophospholipids, sphingolipids) are identified and quantified and the results were also compared for lipids. As a result of the interesting data, both Drs. David Wishart and Irene Gabashvili are in agreement that the Metabolomic Profiling Study should continue with additional analysis of the current samples and with further interviews of the participants. We are all very excited with the potential of this study in hopes that we obtain much more data for Irene to analyze in an effort to find patterns and solutions. We appreciate Irene's pro bono services through the years since 2009. We will eventually need to do some fundraising for her to publishing these studies in a reputable scientific journal for MEBO. We need to do this in order to further give validation the study, and thus hopefully, to obtain research grants to fund this research moving forward. I would have been a participant in the original study. If I understand correctly, further data is only required from those (Canadian) participants in the most recent study. If there is a need to extend this to those UK/IRL people from the previous study, I'd be quite happy to participate. (It's probably pointless to volunteer specific data as there clearly has to be a methodology to investigating this disorder ...but I can't help myself so I'll say it anyway! I've recently undergone a series of medical investigations for elevated liver enzymes - to include multiple blood tests, ultrasound examination and liver biopsy (there's very little indication of actual damage although the biopsy did show evidence of inflammation). Of course, there are numerous causes of same but all the usual culprits have been ruled out over a course of 6 weeks or so. Probably not connected - but I just wanted to put it out there just in case it resonates with anyone else).